Travelling to a new city is always fun till you are at a loss for what to do in certain situations or just plain lost. Phone apps can be a lot of help and help you thrive in unfamiliar terrains. Apps can be a life saver and if you are travelling, there are a number of travel apps that can greatly improve your travel experience. Let’s get to it. We will review 10 travel apps to help travelers thrive in new cities. This is the ultimate travel app that pools your travel itinerary in one spot. Download the app then proceed to forward all your travel confirmations, receipts, hotel bookings and details to TripIt for record keeping. You can also grant the app access to your emails and let it do the rest. To download TripIt, go here. If reading is your favorite past time then you should get a kindle. Hauling around hard covers can be quite a load so why not get an app that can grant you access to quite a number of reading materiasl to keep you occupied for your entire trip. Get your kindle app here. Sometimes taking in the sights might not be enough and some memories need to be preserved. Pictures help keep your memories fresh and you can share your experiences with others; as they say “pictures are worth a thousand words.” If you happen to have limited storage space on your phone, saving your memories might not be possible as pictures can take up a lot of space. One way to take tons of pictures and not be concerned with the limited capacity of your phone is by backing up pictures in Google photos. This frees up your phone so you can take as much pictures as you like. This app also organizes your best pictures into collages saving you the effort to do it yourself. The voice-guided, turn-by-turn GPS navigation feature is just one of the reasons why Google maps is a recommended app for travelers. Navigating unfamiliar terrains can be stressful so be sure to use Google maps while exploring the city. You can even save maps for offline use to help you save data. This weather app is available on both Android and iOS. The WeatherPRO app is very detailed and provides thorough weather information like beach weather, water temperatures and even UV index. Get WeatherPRO here. Whatsapp is a must have app for every traveler. Easy to you features; make voice or video calls or simply chat with friends all over the world. All you need is an internet connection and you can save money instead of paying for phone calls. This app is also data friendly helping you save data when you need to. Feel less isolated with Google translate. It is a practical app that helps you translate words to help you get by daily in a new city. You can either type in the word; use the speaking option; or you can hold your camera up to a text and Google will translate it for you immediately. If you love to stay in shape, this app is for you. However, if you are in a new city, you might feel apprehensive about running as you are not sure which routes are safe. With WalkJogRun, you can discover safe routes to run as free as you want as the app is available in over 1.6 million cities worldwide. This app is not free and costs just $4.99. You also get access to training plans for beginners to advanced runners. If you are looking to use Uber during your trip and hope to schedule Uber rides to fit your itinerary, then download Kommen. The Kommen app helps Uber passengers prebook Uber rides in every city Uber operates in (a feature Uber offers in only a few select cities). Prebook Uber from 15 mins to 30 days ahead; and even schedule up to 5 Uber rides at once. Converting currency is not my strong suit; in fact anything remotely related to math turns my brain to mulch. This is why I leave the hard thinking to the XE currency converter app. The app also has useful features like rates for precious metals and historic currency charts. Just be sure to update the exchange rates just before you travel to make sure you get the most accurate rates which is great if you are trying to save data. Last minute travel preparations for a trip can be a recipe for disaster. Not only do you run the risk of forgetting really important details; you are hurried, distracted and not relaxed for your trip. This list must detail your travel your itinerary, hotel bookings, flight and how you intend to get to the airport. With Kommen app, you can book Uber ahead to arrive as scheduled Make sure you book your flight on time and possibly get a discount on your plane fare. Make necessary hotel or hostel reservation. Also, make a list of all the things you need for your trip to keep you in check. This way, you don’t forget anything important. Start packing early. Pack lightly and possibly daily. Leave the routinely used accessories till 2 days before you travel. You can pack the extra toothbrushes, batteries and charger and leave the main ones till a day before. Be sure to refer to your list to help you remember all you need for your trip. Before you lock up your suitcase, do a quick run through your list to be sure you got everything you need. Once you are sure nothing was omitted, you can then zip up your bag. Some items will go into your bag a few hours or even minutes before you travel, so be sure to make sure you get those as well. Even if they don’t fit into your suitcase, you can keep them in your carryon. Make copies of all travel documents and keep them in your suitcase. Be sure to keep the -originals where they are easily retrievable as you will need them for check-in and possibly security. You can keep these travel documents in your carry on that goes into the plane with you. You do not want to be in a panicked rush to hail a taxi to get you to the airport. If your flight happens to coincide with rush hour traffic, there is a tendency that you might either be late for your flight or miss it entirely. A great way to avoid this is by prebooking Uber. You can prebook Uber with the Kommen app. The Kommen app is a third party app that complements the Uber app. 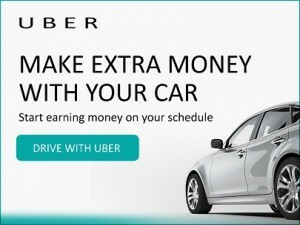 Secure an Uber the night before to arrive at your doorstep 2 hours to your flight. With 2 hours to spare before takeoff, you can breeze through check-in and security without the long queues. This refreshes you and keeps you alert before your trip. Don’t sweat the small stuff and trust that you got everything needed to make your trip a success. Going on vacation simply means a time to travel and relax in another location. Disconnecting from the norm and taking the time to have maximum fun are some of the goals of going on vacation. If I am taking the time off to travel, I always make sure I have the best of times with no regrets. After all, whatever is worth doing is worth doing well. Vacations can be planned around festive seasons, during summer, winter or simply when one feels the need to just get a way for a while. No matter the case, you can have an enjoyable trip whenever you decide to travel. Improving your travel experience involves some careful planning and we are here to provide tips that will guide you towards having an exciting trip. With extra money at your disposal, you have enough funds to have a most enjoyable time during your vacation and treat yourself as much as you can. A great way to save more is to reduce your expenses before travelling. Do away with certain habits that eat into your savings. Not to worry, you can resume these habits after your vacation. By booking your flight on time, you can enjoy up to 60% off your flight ticket. This will also depend on the season of travel, however if you book your flight on time, you enjoy amazing discounts. Get amazing deals using Hooper. With Hooper, you can save tons on your flight ticket. This will help you save more money and you will only worry about lunch and dinner. This can significantly improve your travel experience. By using the hotel Wifi, you protect your private details from funny characters. Also, you save money when you don’t purchase an international data plan as this can be pretty expensive. By using public transport, you save more and get to interact with others. If you must travel in comfort, try to use an Uber. It’s cheaper and a classy way to travel. If you have a busy schedule ahead and want to Schedule Uber rides ahead, you can use the alternate app Kommen that allows you to prebook Uber rides 15 minutes to 30 days ahead. You can even schedule up to 5 rides at once. This is a fun way of getting to know the city and learning about the culture. Learn a few lines of the local language and meet new people. You can learn of places to visit and more fun things to do to improve your travel experience. Don’t be afraid to try new things. If you are in the swiss alps, climb a few mountains; in New Zealand, go bungee jumping; In Italy, go dancing and eat a few bowls of pasta. When you are out and about, free yourself from distractions like social media and others. You can return to that life when you return home. Explore the city, mix up with other people and have fun. These are a few fun ways of adding color to your travel experience. Try them and share your experience with us.